A Ground-Breaking Awareness film on every level. How do you do awareness? How do you start a conversation on male cancer? First you have to grab people attention. Then you have to provide a nugget of information that people will remember and share. 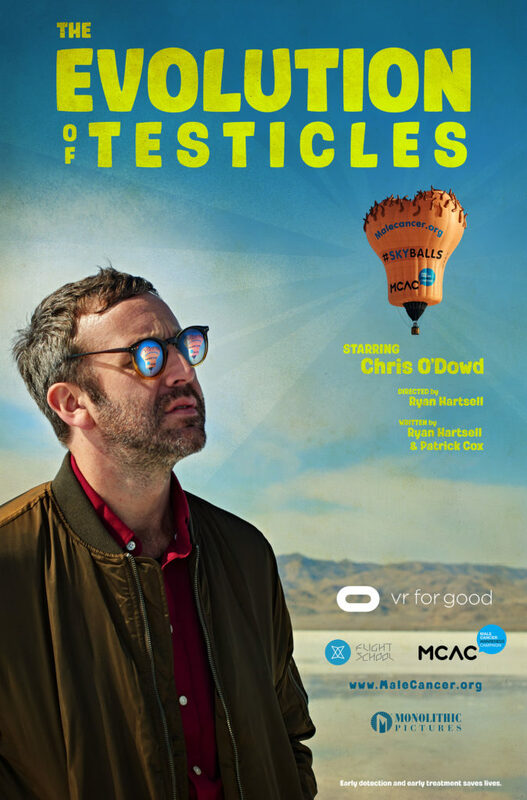 SKYBALLS is our ground-breaking, bar setting testicular cancer campaign, designed to push the boundaries to grab the most attention possible and provide a positive outlook in the fight on testicular cancer. Early detection and early treatment is vital to cancer survival. Our SKYBALLS film has been 4 years in the making. 3 years to make SKYBALLS balloon. 1 year to make the film. Evolution of Testicles is very much us, Male Cancer Awareness campaign. Very much who we are, what we do, and why we do it. The amount of blood, sweat and tears, the long hours, the hard graft that has gone into making this film, we hope people will see that. It’s depth, it’s range, it’s technical ability in VR film making, to place you inside this stunning piece of work and to be part of it. We wanted a film that started a conversation, a film that people will talk about for years. This really is as big as it gets. This is what awareness looks like. This is our SKYBALLS film, Evolution of Testicles. A film that has the ability to educate million men and their partners and save hundreds of lives. Early detection and early treatment is vital for surviving testicular cancer. There is no right or wrong way to check, so long as you do “Check your balls!” and…Embarrassment? Simply no need for it and any any concern you have? You man up, and talk to your doctor. credits will never be a thank you enough and there is a nice reward for viewers who watch till the end. We could not be more proud of a campaign. This campaign cements our long standing claim as a charity we are the boldest, most daring, most innovative charity, in the world. We give you The Evolution of Testicles very much a masterclass in raising awareness. Patrick Cox CEO & Founder. Return to SKYBALLS main page.